On April 25, 2010, Rozalie Hirs performs her musical compositions Aan de zon, de wereld (2006), Curved Space/ Gekromde Ruimte (2009) and Poetry pieces I-III (2008), with Ned McGowan (flute), Tobias Klein (contrabass clarinet), Joost Buis (trombone, lapsteel guitar), Stevko Busch (piano), Robert van Heumen (computer, controllers) en Rozemarie Heggen (double bass). 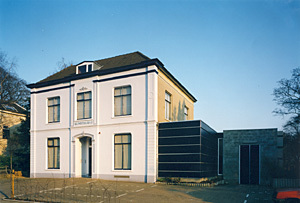 The venue is Kunsthuis 13, Velp. The performance is organized with financial support from Prins Bernhard Cultuurfonds/ Alida Beekhuisfonds.